The temptation to resist was too great (pun intended). Of course, I’m referring to liquid latex resist, which I have been using to begin my recent studies. Today I poured out a bit onto my paper and tilted it around to create drippy patterns. Later, when I applied color, it soaked into the watercolor paper everywhere except underneath the dried masking fluid. Thus my first step in today’s artistic process was to create a negative space. Today’s negative space resembles a street map. 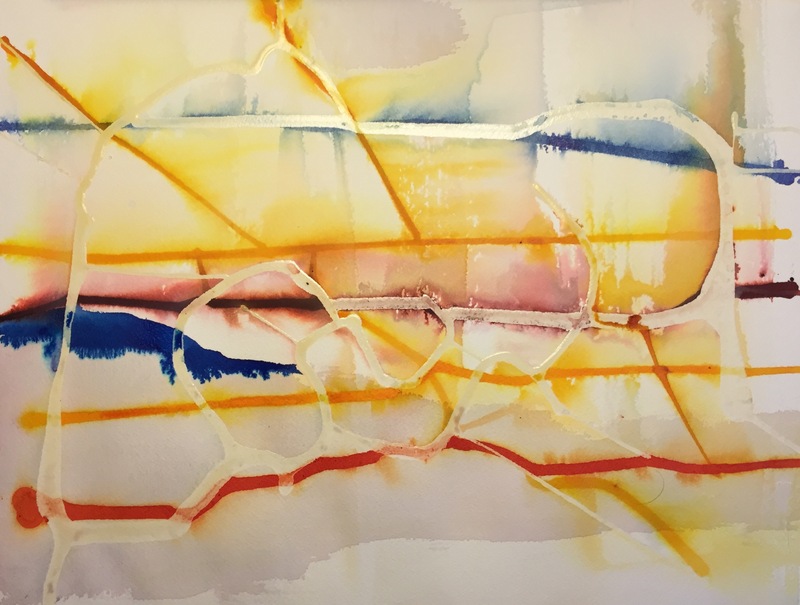 I used my Winsor Newton inks and others that I happened to find, rummaging through my art supplies, to drip straight traces of color through and around the curved ‘streets’ formed by the latex rubber. After the ink dried, I started to wet the paper so that I could apply watercolor pigments. 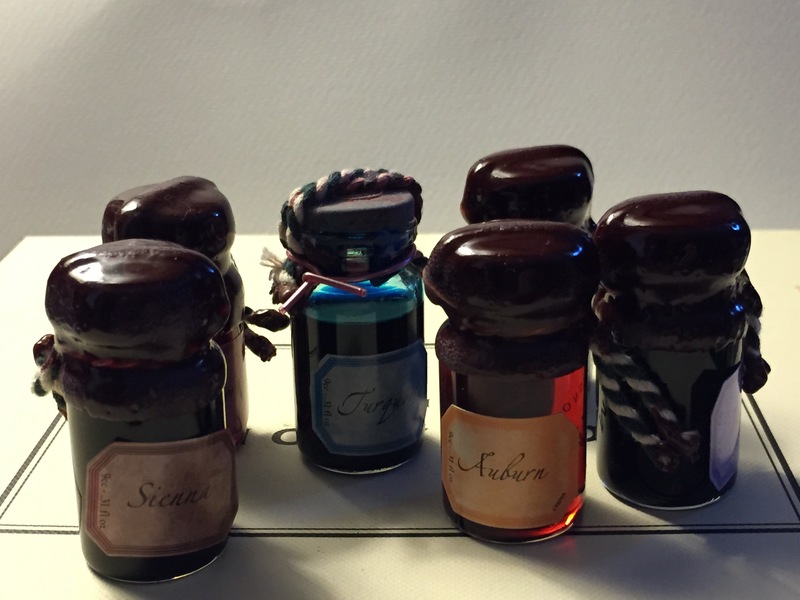 I was surprised to find that not all my ink was waterproof. Not all my mistakes are fortuitous, but the smears of the water soluble inks looked good. It also made me aware that I should be very careful about future applications of water. 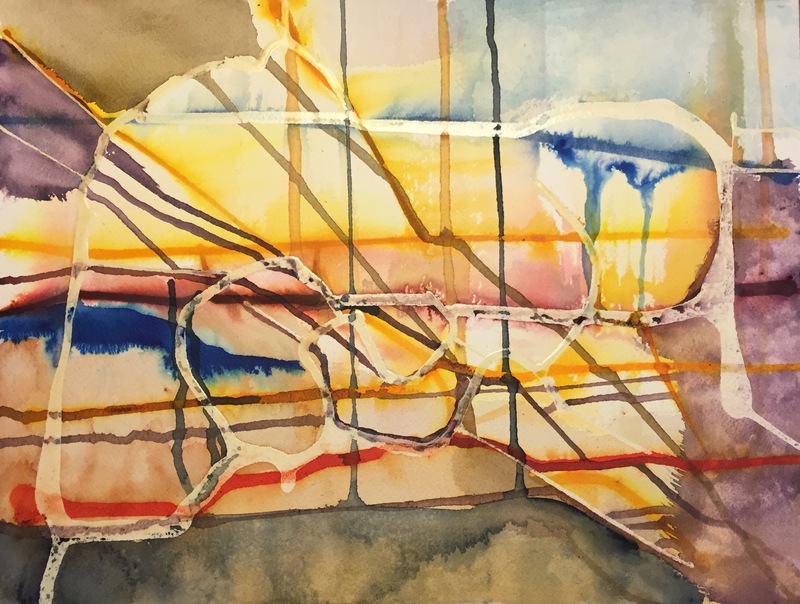 From this stage on, I worked with earth tones (raw umber, raw sienna, Moonglow) and other muted pigments to create pools, which I allowed to drip across the paper. This was the inverse of the process I used to apply the liquid latex. Instead of creating traces of absence of color with the latex, I created the presence of color as narrow, positive spaces. My wife thought I should call this composition, ‘ant farm’. I can see why. It has the look of a subterranean plexus of tunnels and geological veins of minerals. Alternatively, it could be an aerial view of a neighborhood, detailing streets, waterways, lakes, fields and other landmarks. I like that there the viewer can assign any meaning at all to this abstract. I hope my own speculations of the meaning of this composition I hasn’t spoiled any other interpretations a viewer may have. 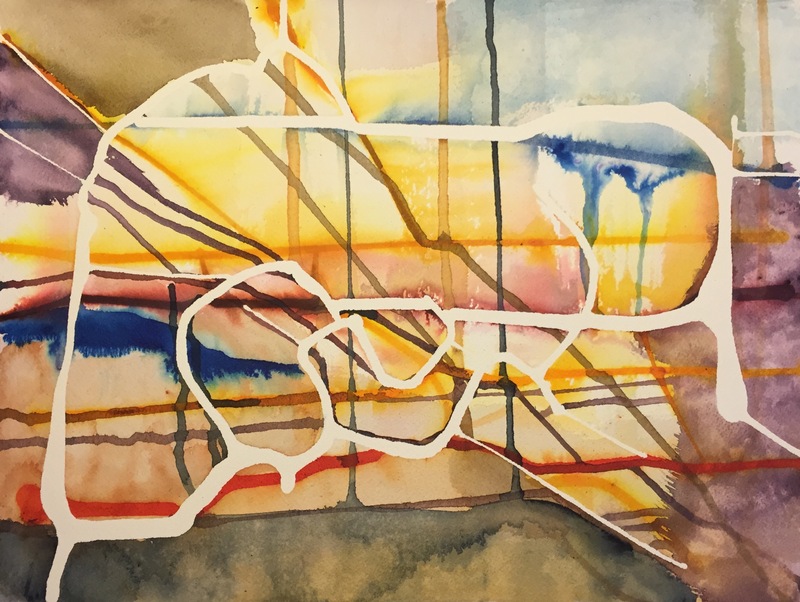 This entry was posted in Personal Stories and tagged abstract art, abstract expressionism, art, artistic process, creative process, creativity, ink, masking fluid, negative space, visual arts, watercolor. Bookmark the permalink. Thanks, Liz. Yes, those bottles really look nice. They don’t look the same, however after crumbling the sealant material. They are fun, though. Thanks for the note.